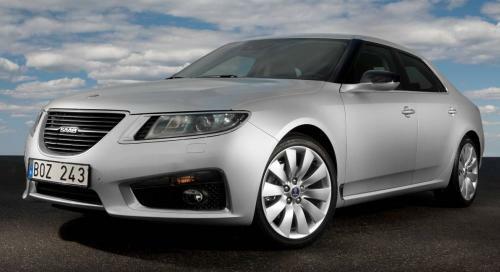 A couple of days ago, we reported that Saab was likely to be rescued by investors. Well, the deal is done. The Swedish automaker – and its Dutch owner, Spyker Cars – has confirmed a partnership deal with Hawtai Motor Group, which will see Saab getting funding worth 150 million Euro (US$222 million) and the Chinese automaker taking a 29.9% stake in Spyker. The announcement follows the 30 million Euro short-term cash injection secured by Saab to restart production, which had been halted since the beginning of April due to a dispute with suppliers over the company’s ability to pay its bills. Spyker said in a press release that the deal includes financing in the form of subscription agreements to the amount of 150 million Euros as well as a strategic alliance for China including joint ventures in manufacturing, technology and distribution. “With Hawtai’s clean diesel engine technologies and production capacity, and its ambitious development programs, we have found the right partner to develop the Saab business and build a solid relationship,” Spyker’s CEO Victor Muller said in a statement. Hawtai, which was founded in 2000, is a Shandong-based company with two production facilities located in Ordos, Inner Mongolia and Rongcheng in Shandong. The company, which formerly had a JV partnership with Hyundai, currently has an annual production capacity of 350,000 vehicles, 300,000 clean diesel engines and 450,000 automatic transmissions.